These wonderful, wonderful TOMS Women’s Majorca Peep Toe Bootie are tippity top of my wish list. 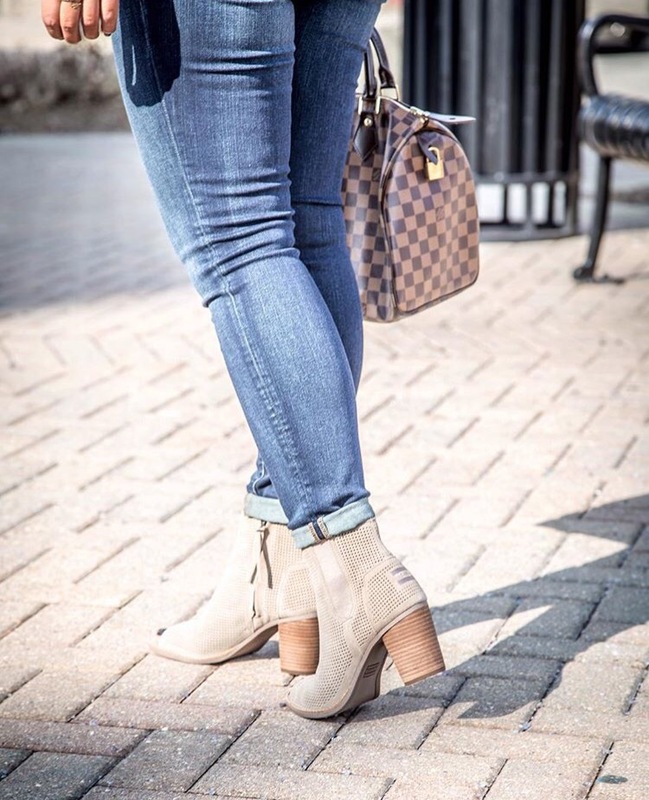 The booties come in many, many different colors (21 I believe on Amazon), so you’ll be sure to find one to match your style. 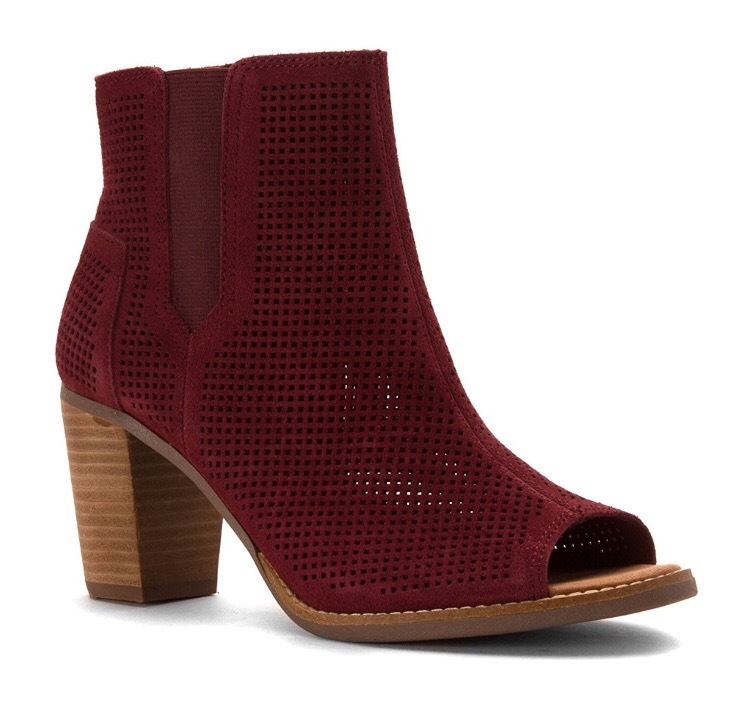 I don’t own a pair yet (as I said, big time wish list item—Oxblood Perforated Suede, size 7 if anyone was curious 😉) but friends who have them rave about them. I adore all of my TOMS canvas slip-ons, so I really need these booties in my life. With the heel at 2.87 inches, it’s ideal for work, walking or just life in general. You could walk around in these all day with no pain, so I hear, making them even more enticing! Check them out on Amazon (linked above) or at toms.com. If you have them, let me know if you love them as much as I think I will! Follow along @elyssawrites and if you have a passion for shoes as much as I do, follow my shoe-stagram @feedingmysole.